Items of UK railway rolling stock selected for their history, location or unusual features. A different angle of prototype fully-refurbished HST Buffet Car 40423 (later renumbered 40902) at Swindon Museum on 28th August 2005. 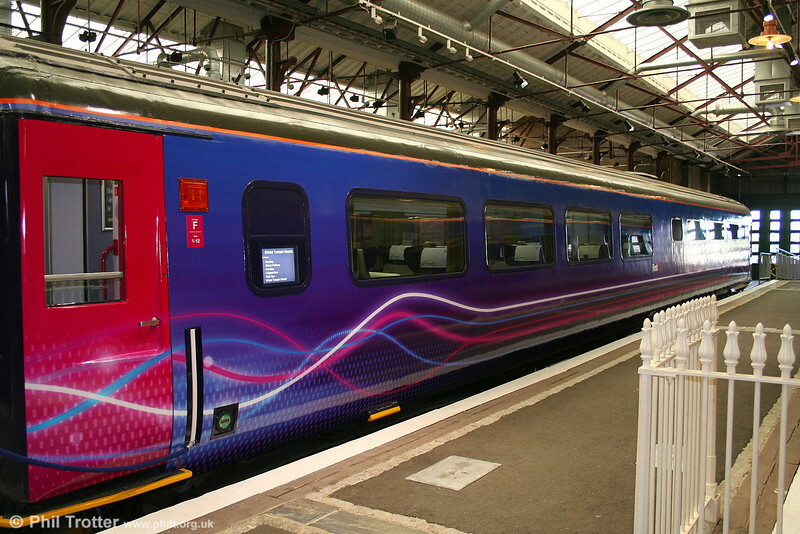 The coach was later again refurbished in FGW's later style and re-entered service in July 2007.